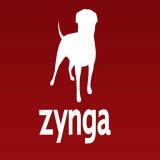 Zynga, the American social media and gaming company that brings the world Farmville and Draw Something, released its half-year earnings this week as well as the company’s plans for 2013. Despite posting disappointing results for the first half of 2012, which it blames on delayed game launches and the poor performance of Draw Something after its acquisition, Zynga is poised to enter the real-money online gaming market. With its advertising business gathering strength (up over 170% from last year) and a record number of daily and monthly players online, Zynga could in fact be a force to be reckoned with once it launches real-money gambling games. Estimated launch dates are in the early part of 2013. Read the full an iGaming article for more information.